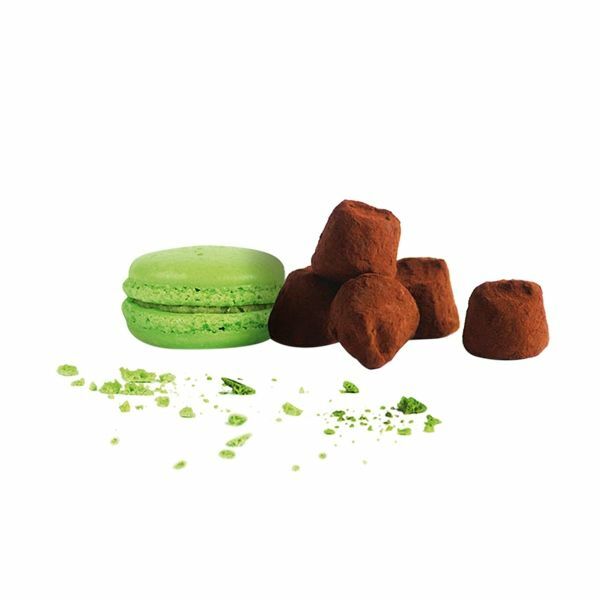 Discover one of the most gourmet flavour from our range : “French Cacao Truffle with pistachio macaroon”. 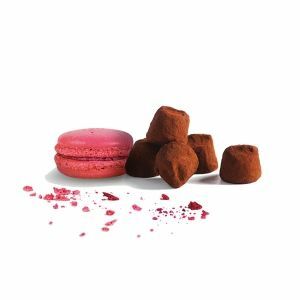 A cocoa truffle sublimated by the inclusion of carefully selected pieces of pistachio-flavoured macaron that make it a SO FRENCHY specialty. 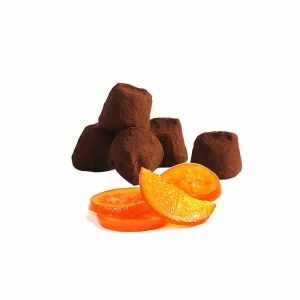 Once again Chocolat Mathez knows how to marry flavours, create alliances and satisfy the curiosity of your taste buds. 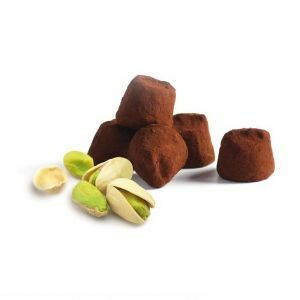 With Pistachio Macaroon Cacao Truffle, choose the quality and the delicacy. Prepare for a unique sensory experience ! 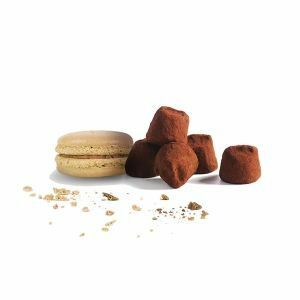 French Cacao Truffle and Pistachio Macaroon is a combination between the crunch of macaron biscuits with the sweet scent of pistachio, all this effects in a French cacao truffle covered with cocoa powder. 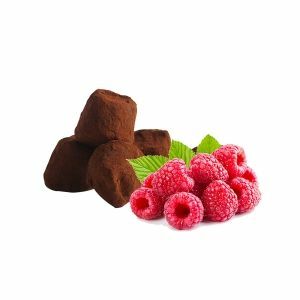 Discover this recipe which gives no longer any doubts about its success, let yourself be seduced by real gourmet experience.